Another Power Metal band from Italy is on the way to conquer the metal world – Frozen Crown, founded in 2017 in the northern Italian metropolis of Milan. The songs are written by keyboard player Federico Mondelli (Be The Wolf), supported by singer Giada Etro (Ashes You Leave, Tystnaden). The main influences are bands like Sonata Arctica, Nightwish or Orden Ogan. But also elements of classic heavy metal (Iced Earth) or folk and melodic death (Children of Bodom, Dark Tranquility) find their way into their own songs. This mixture definitely sounds exciting. Even the first sounds show that Frozen Crown are playing much heavier than many of their compatriots. So no Rhapsody symphonic metal, no opera soprano like Crysalys or Aevum and not as playful as Temperance. 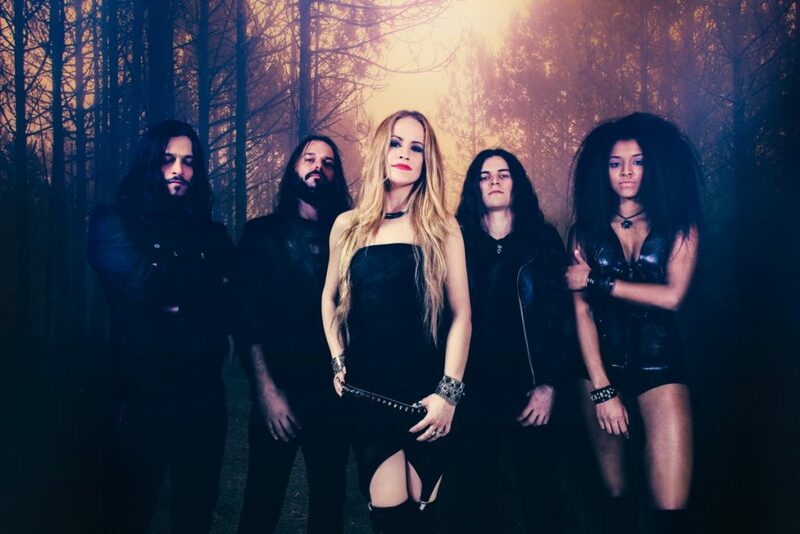 Singer Giada Etro is able to both sing heavy metal screams and powerful clear voice blindfolded, the drums fire straight on and the very young guitar player Talia Bellazecca and her band-mate Federico Mondelli knock the riffs out that way. And the bass bangs relentlessly from the speakers. Only the keyboards are often “typically Italian” playful, but not as dominant as in other bands of the southern European country. After the blast-opener “Fail No More” it becomes more melodic with “To Infinity”, with great guitar hook lines. Another recommendation is “I Am The Tyrant”, a big metal anthem. Later, band founder and mastermind Federico Mondelli contributes song-appropriate, subtle growls. The title “The Shieldmaiden” evokes associations with Fantasy soundtracks, but far from it. You can hear a Speed ​​Metal Firecracker. The decisive factor here is the interplay of “The Beauty and the Beast”, that is, the change between Giada’s power voice and the growls of Frederico. The contrast can hardly be greater, this cracker follows the beautiful ballad “Chasing Lights”. Strings, piano and acoustic guitars accompany the beguiling polyphonic singing. But the contemplation is short-lived, After that, songs like the “Queen Of Blades” or “Everwinter” provide a lot of heaviness. In between, the melodic “Across The Sea” reminds a little of the aforementioned Temperance. And with “Netherstorm” is another speed-cracker at the end. Once again, the vocal duo Giada Etro / Federico Mondelli shines here. 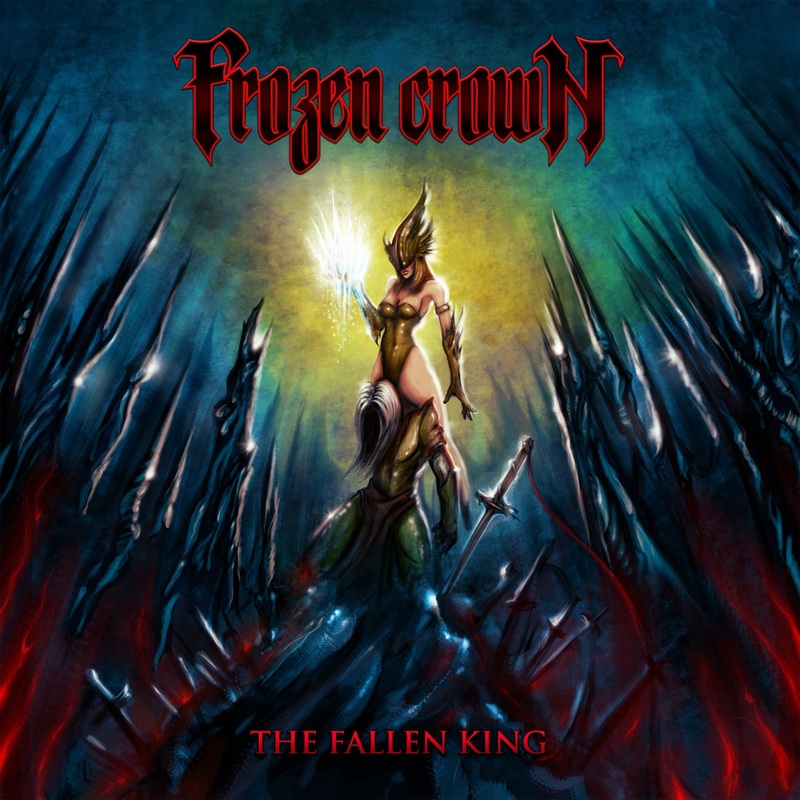 Frozen Crown have delivered an astonishingly mature debut album with “The Fallen King”. It’s hard to believe that the band has not even existed for a year. Composition and arrangement are varied. Musically, a wide range is covered. Whether speed metal, power metal anthem or ballad, the five musicians from Italy dominate their profession. If Frozen Crown can continue the next few years with a stable lineup, then something big can develop here.